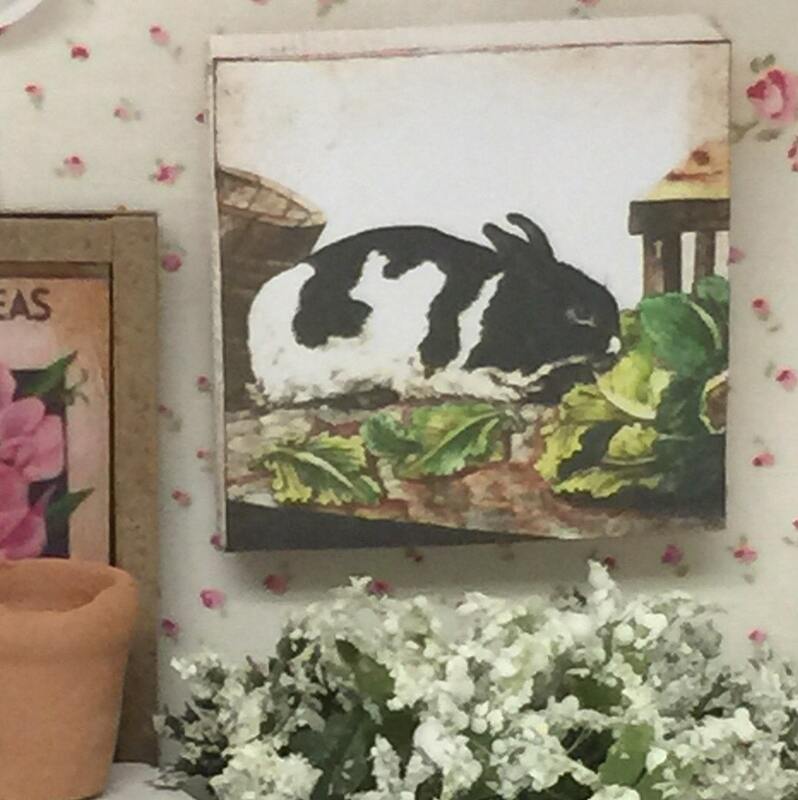 Miniature Spring Garden Bunny Canvas Picture 2" x 2"
Old illustration of a bunny rabbit enjoying cabbage in a garden. Picture has been adhered to a small 2" square canvas with wood framing. 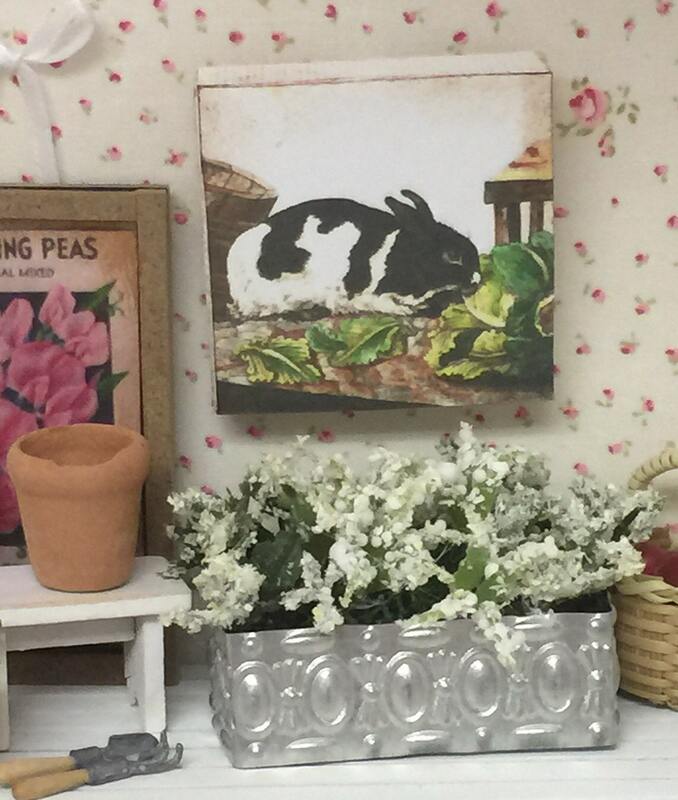 Would be cute in a small Easter Spring vignette. This is the second of two I purchased. Adorable. Another great purchase from this seller! Thank you once again! I will be back!